Perform Like A Rock Star In Business And In Life. Business wisdom is the untold story of Rock N Roll. Are you Listening? There are millions of musicians out there, but very few Rock Stars. Rock Stars stand out in a crowd. Marvelless Mark shows your teams how to perform like rock stars. Mark starts with solid business wisdom from years of broadcasting, insurance, small business, sales, marketing, and entrepreneurial success. Mark brings it in a rock star style as only a Las Vegas headliner can. Mark delivers a high energy presentation, with rock solid content and hilarious audience interaction that will have your attendees feeling and performing like rock stars! They will leave totally entertained and equipped with new strategies, tactics, and tools for creating rock star results. 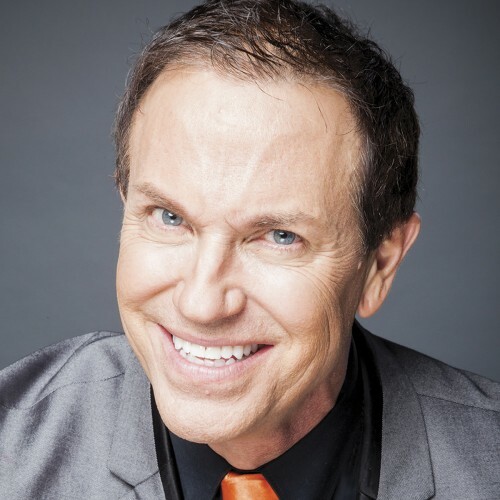 Mark Kamp is the #1 Best Selling author of “Opportunity Rocks: Be A Rockstar in Business and Beyond.” He has been featured in CBS, NBC, ABC, FOX, USA Today, Small Business Trendsetters, Business Innovators, TBN Networks and more. A Rock Star Performance Equals Rock Star Results! Mark delivers killer opening or closing presentations for your conference. We are so confident that Mark will rock your event that we offer a money back guarantee. How to perform like a rock star in your business and career. * The raw power of unrealistic goals. * The single most important element of enduring team success. * How and when to break the rules and strategically disrupt. * Why you shouldn't be creating satisfied customers....you should create raving fans! * How to thrive through change by leading change. Mark ’s rock star clientele includes Microsoft, BMW, Disney, Sony, McDonald's, New York Life, Oracle, MTV, Marriott, American Express, The American Cancer Society and many more. A #1 Best Seller Opportunity Rocks: A Rock Star can be anyone in any industry who has earned fame, admiration, and success by being the best at what s/he does. That’s what Opportunity Rocks, Marvelless Mark’s latest book is about: Helping You Achieve Rock Star Status In Your Career & Your Life. Marvelless Mark will show you seven “chords”- key concepts you need to master in order to make the most of your talents, set the right goals, manage change, and motivate other people. If you can play these chords every day, you can rock your life. Ask Yourself: “How am I going to be brilliant today? Tomorrow? Everyday from now on?” Whether your goal is to climb the charts with business performance and productivity or make beautiful music on the home front, Opportunity Rocks will give you the tools to make it happen. Find out more about ..Marvelless Mark.. Mark Kamp at http://www.opportunityrocks.net.